How much can your operation save with the SmartAerator? Calculate your project’s potential savings with our SmartAerator Energy Savings Calculator. Customers can use the state-of-the-art, energy-efficient SmartAerator to take advantage of financing incentives and cash rebates from electrical utilities and co-ops. 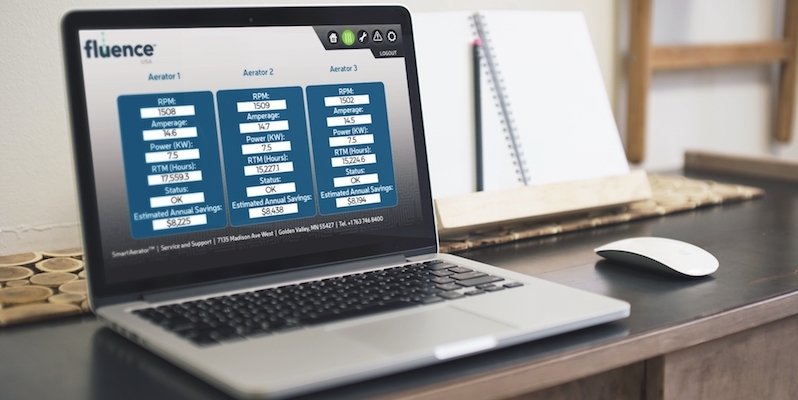 Auto-optimization through artificial intelligence (AI) learning provides maximum energy savings through a precisely tuned adaptive control scheme found only with the SmartAerator. This AI uses historical process information from the plant being monitored, rather than a generic algorithm. 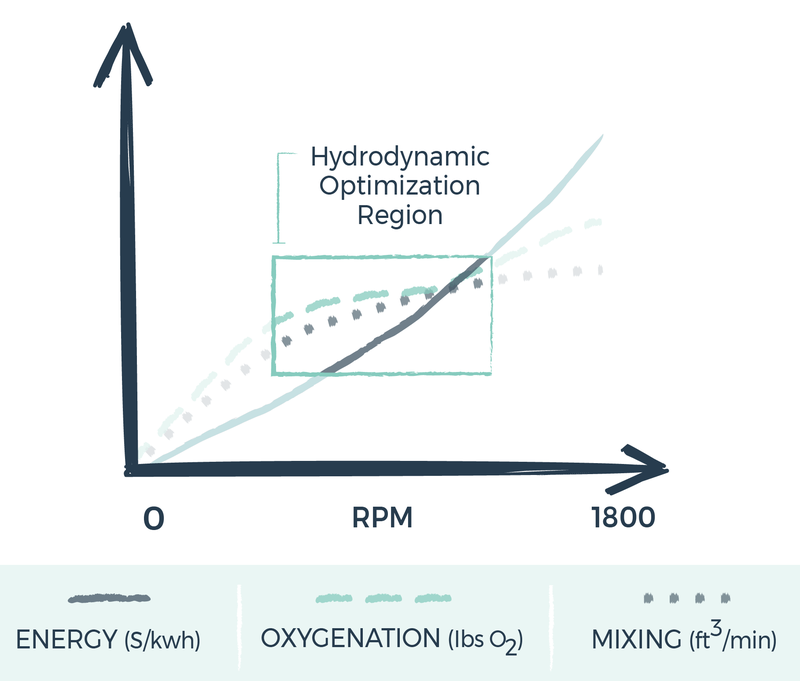 Fluence’s extensive knowledge of the hydrodynamic Tornado aerator and system performance lets us optimize the ideal operating range of aeration performance for your specific application, which sets the SmartAerator apart from a conventional control product. The SmartAerator provides annual energy savings of up to 50% for wastewater treatment facilities. Projects that will realize significant energy savings are those that require high-horsepower aerators, as well as those with multiple aerators. Equipment status anytime, from virtually anywhere. The SmartAerator comes with a dashboard for tracking and reporting aerator performance. Plant operators can monitor the aeration process remotely. Wastewater analytics can be transmitted easily to SCADA systems and mobile devices. 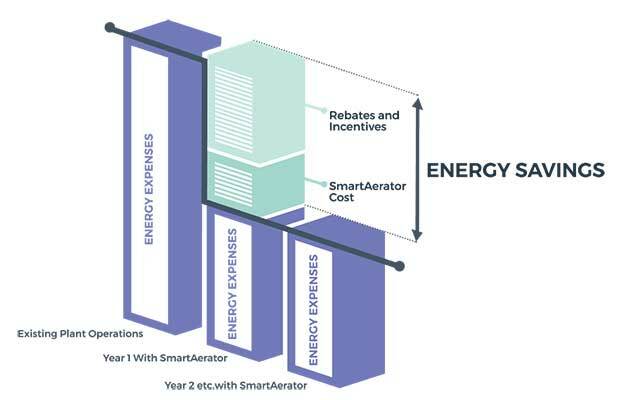 Here’s a quick look at how much the SmartAerator can save in energy expenses according to the application. As you can see, the technology is particularly effective with high-horsepower aerators. How much can you save with the SmartAerator? Calculate your project’s potential savings with our SmartAerator Energy Savings Calculator. Can the SmartAerator Benefit Your Operation? While traditional aerators work at a steady rate around the clock, whether needed or not, the Fluence SmartAerator can fine-tune your aeration needs through its system of monitoring, software, and automatic control. For more information about the SmartAerator™ TORNADO® aerator or to discuss your specific challenges and goals with our experts, send us an email or fill out our SmartAerator contact form with your project details. Contact Fluence to learn more about the SmartAerator, or to discuss your next aeration project with our experts. The SmartAerator operates at the ideal motor RPM performance range, ensuring oxygenation while maximizing mixing and minimizing energy use.